Welcome to Casa Dwyer: Why is the California Pizza Kitchen in Wellesley Struggling? Why is the California Pizza Kitchen in Wellesley Struggling? 5:45pm on a Tuesday night in Wellesley. I'm looking for a family-friendly restaurant- what are my options? Bertuccci's, Qdoba, and California Pizza Kitchen come to mind. Tucci's it is. We arrive at Bertucci's at a quarter 'til 6 and the place is mobbed, which can be a good thing depending on how you look at it. Sometimes it's like a elementary school cafeteria in there and your little ones can fling a fork across the room and nobody will notice. But tonight, we were deep into the fuss-zone before our estimated 5-10 minute wait was up. My youngest made a break for the door and I took it as my sign that our dining at Bertucci's wasn't meant to be. 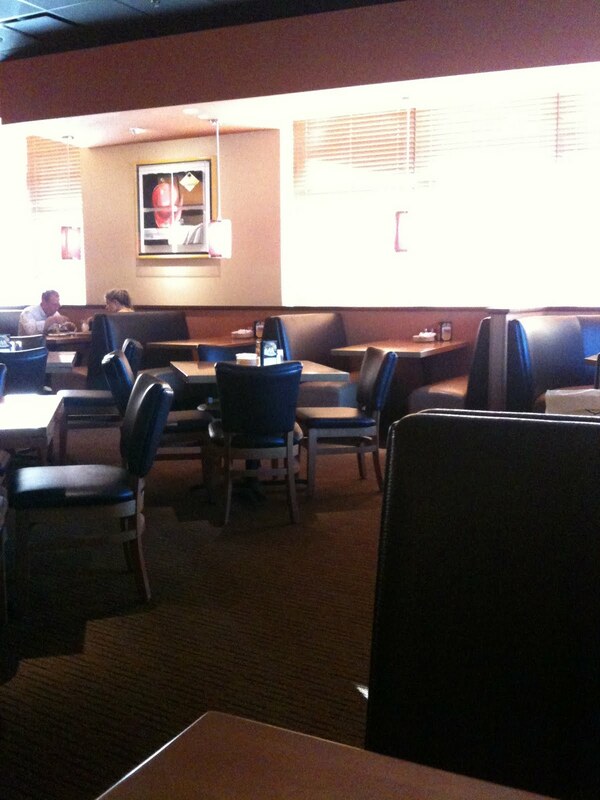 While we were driving over to California Pizza Kitchen I was wondering: Why was Bertucci's so crowded? Especially on a Tuesday night? Based on visiting the CPK previously on Friday nights I had a feeling they wouldn't have a wait on a Tuesday night. Sure enough the place was nearly empty. I'd estimate it was only about 20% full. That's it really, and the real estate costs are in large part driven by positioning the family close to educational opportunities (public schools in town and colleges and universities nearby). I'm exaggerating of course but I hope you catch my drift. People don't spend their money on trendy frivolous things. This is part of why the Natick Collection is a ghost town. Add to this the fact that a lot of people in the Boston area dislike chain restaurants and things don't look good for the CPK in Wellesley. Okay, so why is it that the California Pizza Kitchen struggling while Bertucci's is apparently doing well? They're both chains. Both are competing with almost a dozen other pizza places within striking distance. Bertucci's happens to be headquartered in Massachusetts but I don't necessarily think of them as a Boston kind of company. Is the menu at CPK too unusual? Is it perceived as being too pricey? Is it actually too pricey? Is the ambiance off the mark for what people are looking for? Not family friendly enough? Do people not like the individual-sized pizza model? Is the food not good? Do people just not like it? Yelp reviews are lackluster and inconsistent. I honestly don't get it. We had a great meal tonight and every time we've been there so far. But I'm afraid it's not going to be around much longer. The location seems a bit unusual as compared to their other locations (which tend to be attached to higher traffic areas like malls or urban locations). The build-out always seemed half-hearted to me as well. Like they could be out of there with short notice if necessary. I hope they stick around but wouldn't be surprised if they don't make it. What do you think? Is the CPK in Wellesley going to make it? 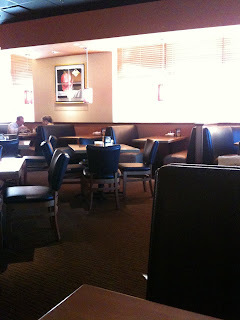 Why doesn't Wellesley eat at the California Pizza Kitchen very often? Good question, maybe it is a regional thing or local regulations but when I looked at the photo at the top of your post I did not immediately recognize this as a CPK. I don't see the logo sign with the palm tree that makes me think CPK. Don't the awnings usually have the logo and writing on them too? If I knew CPK was there and was trying to find it obviously this is the place but, if I was just passing by, this location would not have said CPK to me. If I was not familiar with CPK, and I was in the North East, I would say, "What does California know about pizza?" and keep driving. We were doing a comparison today between the signage at this Wellesley location and that at the nearby Natick location. I think there was some corporate-wide rebranding and changes in font selection but the Natick location retained more of the original diamond logo/palm tree aesthetic the Wellesley location did away with. 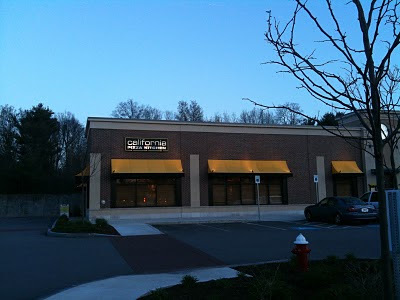 As a result the Natick location stands out as more of a typical CPK location than Wellesley. I totally agree with you that it's overly discreet and therefore virtually unrecognizable as a CPK unless you're looking for it. I can understand wanting to have somewhat of a regionally distinct signage (white stucco wouldn't really fit at this location) but I think they took it too far. Thanks for the comment. I grew up in Arizona so maybe it's a similar perspective we're coming from. It's certainly not cheap- but what sit down restaurant in the area provides substantially better value? None that I can think of really. Being from CA especially I'd be interested in hearing your thoughts on The Cottage. Love the atmosphere but the food is almost always just a little disappointing to me. Not much flavor. We love Blue Ginger too and I can't wait to get over to check out their new lunch noodle menu. Bob, I was excited when the Cottage opened up but I feel the same way you do. It's been so inconsistent that I've given up on it.They do seem to have built a loyal following. Tell me, where does an Arizona transplant go for Mexican food in the vicinity? up from Bertucci's, which is like eating at a daycare center. La Strata is not worth the price and The Cottage is good for a burger. I think people are also coming to CPK from Natick, Sherborn and Needham, not just Wellesley, it beats traveling to the mall. @Karen Finding good Mexican food in the Boston area is a tall order for sure isn't it! There's some decent burrito joints around so we tend to go to those when we have a taste for Mexican. Three Margaritas in Waltham does a pretty good job when you're looking for chips, salsa, and Coronas (which is often the mood I'm in when I say I'm in the mood for Mexican). Fancier Mexican places actually seem more plentiful. Like Casa Romero in Boston. @anon we were back there a couple of Fridays ago and it was once again excellent. Good food, good service, reasonable price for kids meals. And still nearly empty! Maybe they do business at times other than when I'm there. I hope they do- it would really be a loss if they packed it in.